Rich oval wood beads with lock link construction. Gift boxed. 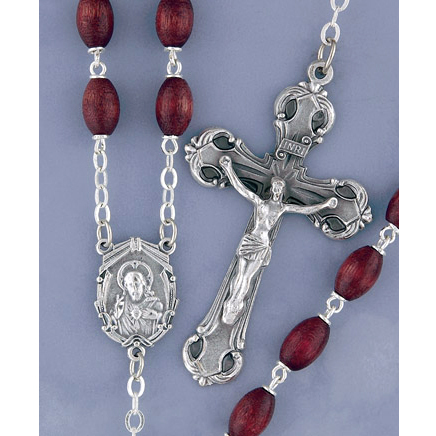 From the Traditions Series in which the centerpieces and crucifixes have been designed to enhance the appearance of each rosary and to convey a refined artistry reminiscent of fine European religious art. Contact us for quantity discounts. All items are F.O.B. factory. Prices are subject to revision without notice, please contact us to confirm current price.